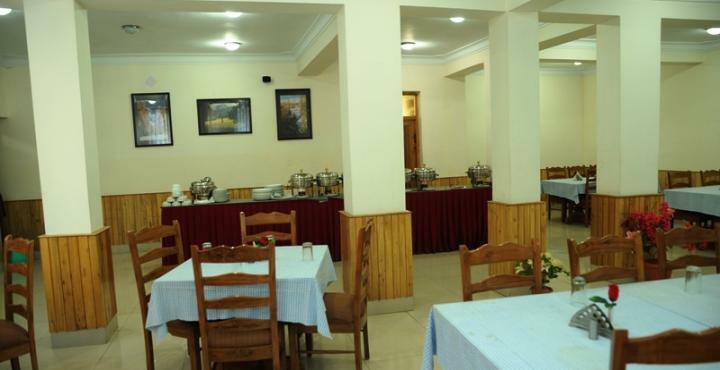 Nestled in a beautiful city of Leh, Hotel Hilltown is a 3 star property. It is located 5.5 Km from Leh Kushok Bakula Rimpochey Airport and 1.7 Km from JK SRTC Bus Stand. Guest can checkout different places in Leh that are situated at reachable distance from Hotel like Leh Palace(1.7 km), Sankar Gom pa(2 km), Shanti Stupa(3.4 km), Namgyal Tsemo Gompa(4.7 km), Thikse Gompa(18.6 km) and many other tourist excursion. Hotel offers various facilities such as travel desk, foreign currency exchange, laundry, travel desk and medical assistance. Taxi Service, Room Service, Parking, Complimentary Newspapers in Lobby, Front Desk, Airport Transportation, Laundry Facilities, Major Credit Card Accepted, Backup Generator, Porter Service Available. Complimentary Newspaper, Makeup/Shaving Mirror, Internet Access, Dustbins, Telephone, Television Room, Desk, Complimentary Toiletries, Luggage Rack, Attached Bathroom. User reviews for "Hill Town Hotel Leh"